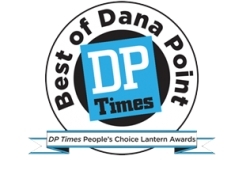 The Dragon Institute has been chosen best martial arts school in Dana Point in the Dana Point Times' 10th Annual People's Choice Lantern Awards. This marks the 4th consecutive year which The Dragon Institute has been awarded this distinction. Dana Point, CA, February 07, 2018 --(PR.com)-- The Dragon Institute, a Dana Point martial arts school, this week received distinction as the Best Martial Arts Studio in Dana Point for the fourth consecutive year.